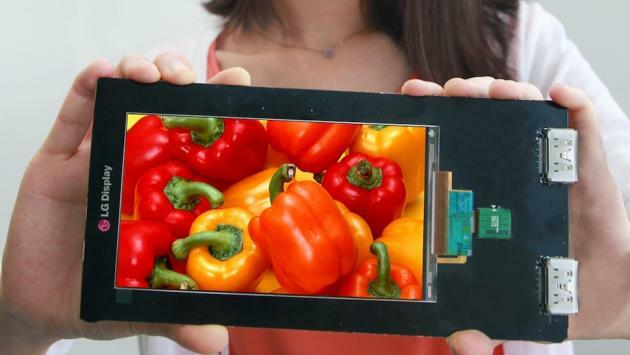 LG just announced an insane 5.5 inch smartphone screen. It's got so much pixels that its display resolution is at 2,560 x 1,440 (Quad HD). It packs 538 pixels per inch making it the highest resolution and ppi for a smartphone. To compare, the Samsung Galaxy S4 has 441 ppi while the HTC One has 468ppi. Also, the display is only 1.21mm thin with a 1.2mm bezel. Everything is getting larger and slimmer.